Peter Lowes is a Principal at Deloitte Consulting LLP in New York and leads the Global Outsourcing Advisory Services Practice, serving financial institutions and large corporations in the areas of business process and IT outsourcing and offshoring. He was very instrumental in getting our US off the ground, accommodating our team traveling over from London on many occasions, donating air tickets, operational costs, and generally believing in us bringing the vision to pass. Without his constant encouragement and support Global Angels US might not exist. 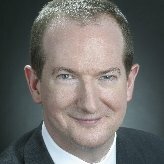 Prior to joining Deloitte Consulting, Peter was a Senior Managing Director at Hawk Holdings, a private technology services investment and holding company and before that a Managing Director at Electronic Data Systems (EDS), where he was co-founder of EDS’ Global Financial Markets Group, a 3,500 person global division. Peter spent his early career as a systems architect and project manager at Logica in London and New York after graduating BSc(Eng)(Hons) ACGI from Imperial College, University of London.